Note: Lately I’ve received requests for information about my recovery from adrenal fatigue. I’m not a big researcher, I’m more the just-tell-me-what-I-need-to-know type. There are tons of resources available on the internet, so feel free to research away. I am not a medical professional nor do I play one on TV, and I’m not giving advice on how to treat medical conditions. What I am doing is sharing my experience and how I’ve worked with my own body, in the hopes that it will start someone else on their own healing journey. In early 2010 I was officially diagnosed by my care provider with adrenal fatigue, after a saliva test revealed my cortisol levels throughout the day. In the months leading up to that diagnosis, I had experienced some strange symptoms: absolute, to-the-bone exhaustion (especially after workouts and in the morning upon arising), dizziness and blackouts upon standing from a sitting position, inability to sleep through the night, feelings of overwhelm and burnout, shakiness and low blood sugar and weakness in the muscles in my legs. Many of these symptoms were also related to low thyroid, which was diagnosed at the same time. Adrenal fatigue is basically a condition that results when your adrenal glands—your stress glands—get depleted after years of stressful living. I tried a lot of supplements and many of them seemed to work for a while and then stopped working. I think that’s common for adrenal fatigue sufferers. What follows is a list, in no particular order, of things that I did and continue to do that seemed to help the most. I’m currently in a good place with adrenal fatigue and I am vigilant to not push myself beyond my limits. There are times when I feel “adrenal-y” and that’s when I pull back and take better care of myself with rest, stress reduction and nutrition. My list doesn’t include a particular diet or way of eating, but I know that is important for many people. The list is divided into two parts: physical and non-physical things I did. I know you can’t actually separate the two, but it made more sense for two shorter posts. Go to bed early and be asleep by 10:00pm. For me, that meant heading to bed by 9:00pm. If I stayed up much past 10:00, I got a second wind and didn’t want to go to bed and that was deadly for the next day. There are physical reasons for that second wind having to do with cortisol levels. In the morning upon awakening, stay in bed, awake, for at least 15-20 minutes. Often I got up to use the bathroom and take thyroid medication, then I would lie back down. 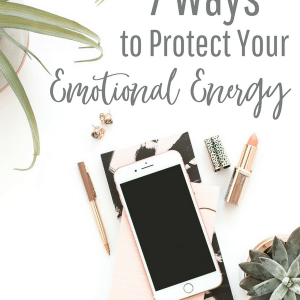 The best time for adrenal fatigue sufferers to sleep is 7:00-9:00 in the morning but that wasn’t going to happen for me. Staying in bed was the next best thing. Often I would feel weak when I first got up but would feel much better after staying in bed for a while. This also has to do with cortisol levels. Use magnesium gel on my feet. The first time I sniffed magnesium gel, it smelled like dirty socks. Eww. I was told that meant that my body needed it. I started applying magnesium gel to the bottom of my feet at bedtime, followed by lotion. At first the magnesium gel made my feet rough but after several weeks it softened the skin like a fresh pedicure. In fact, I had a pedicure last week and the technician complimented me on the soft skin on my feet. This is after years of rough, peeling skin on my heels. And it no longer has an odor to my nose. Plenty of Vitamin C. I usually drank Emergen-C, but now I prefer chewable C from Dr. Schulze. Salt. Yes, salt, but not necessarily table salt. I use Himalayan Pink Salt that I find at TJ Maxx or the grocery store. There’s a scientific reason that you need salt for adrenal fatigue and it’s explained in the September 2016 issue of For Women First magazine that I appeared in. I put it in my coffee drinks, on popcorn, in smoothies, and sometimes in my water. During seasons of adrenal fatigue episodes, take two days off between workouts. Take extra water breaks and kick out between moves. My favorite workouts for adrenal fatigue: Senior Fit, Menopause Management, MORE, MORE Chair, TappCore. Senior Fit especially targets the thoracic area of the spine to support the adrenal glands. It actually makes me feel energized rather than exhausted. On Plies, only bring arms up to a V.
Fewer reps with activated muscles. Inactivation is bad for the adrenals. And my miracle move: the T-Tapp Ladybug Move from the Ladybug Workout. The key is pressing the back in the floor and on the reaches with the foot, really r-e-a-c-h with the ankle. I can drop to the floor and do four of those if I’m feeling adrenal-ish and it cures me–seriously. At the T-Tapp Trainer Certifications during my Ladybug cert, Teresa stopped me and had me really reach. She noticed that I was doing wimpy reaches with the foot. I got up from the floor a new woman, it was that helpful. Recovery from adrenal fatigue is tricky. It’s not a linear improvement, where you get better every day. You can feel good for a while and then have some bad days. It’s not a fast recovery process, either. I’ve felt better in the last few months than I did over the last four years. 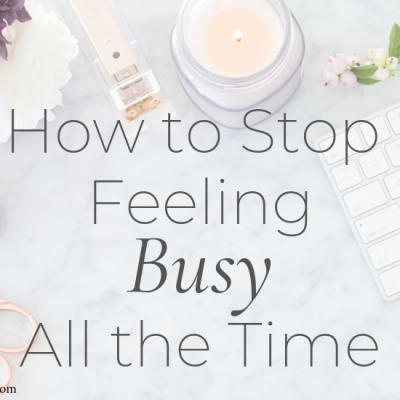 In the next post we’ll take a look at some other important, foundational things I did to help me heal from adrenal fatigue. 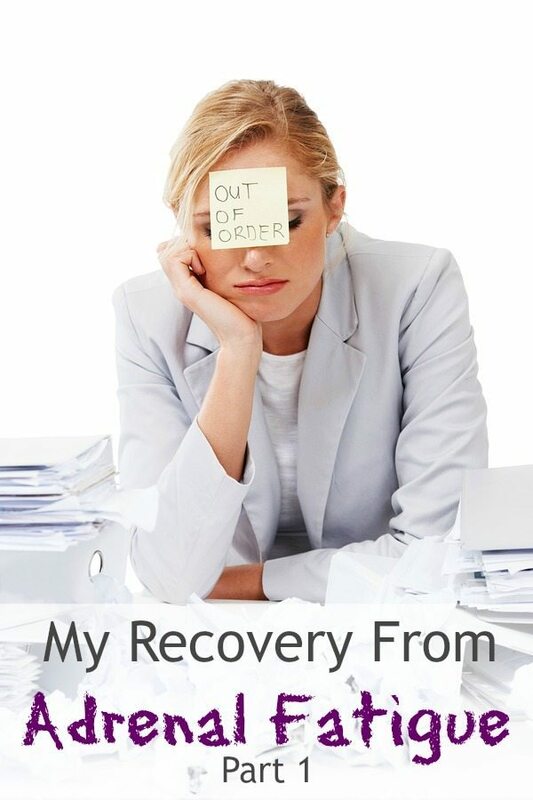 Read My Recovery from Adrenal Fatigue, Part 2 here. If you have questions or experiences to share, please leave a comment. Hi, Charlotte! I feel as though I may be suffering from adrenal fatigue, at least at the moderate level. I took the quiz on the website you gave a link for, and that’s where I scored. What really made me think this is something I have besides the obvious lack of energy is the pain I experience at the bottom of my rib cage around on my back. I have this pain on and off, and had wondered if I was having kidney problems. It did not occur to me that this is where the adrenals are located. Also, I would drink water, thinking this would help, but did not notice that made much difference. However, I did notice relief after eating sometimes, which I could not understand at the time, but makes perfect sense after doing more reading on the condition. I am glad to see some practical tips for dealing with this condition. Are you taking any prescription medicine, or are you able to control the symptoms mostly with the things you mentioned? I do not like the idea of having to take medicine unless absolutely necessary. I take prescription thyroid medication, but not anything for adrenal fatigue. I’m not even taking Balanced Body right now, I just took it for a season. The next article in the series will continue with some other things that have really helped, so stay tuned. I hope that you find answers and feel better soon! Thank you for your article on adrenal fatigue. Where do you get the magnesium gel? Do you know how much magnesium you’re getting with a standard amount of gel? Does the body absorb this better than oral magnesium? Hello! I’m Marysue. I have stage 3 adrenal fatigue, and am going thru difficult time. Would like to talk to you about Plexus, T-Tapp, and everything else. Marysue, I didn’t research “how much” on the magnesium, it just worked better to use gel than oral. I heard Dr. Carolyn Dean, author of “The Magnesium Miracle” say that it is virtually impossible to get enough magnesium orally. Stage 3 will take effort to heal, Marysue. I would imagine it will take a good amount of time and self-care! Thank you. Can you tell me about the use of Plexus, interns of detailed accounts of success with adrenal fatigue. Yes, I know that Slim “balances your blood sugar”. But I want to know actual accounts of success with using Plexus products as part of a toolbox to conquer adrenal fatigue. Okay, Im reading these posts now and learning so much. Thank you all for sharing. Charlotte, how many packets of Plexus Slim do or did you take to help with your healing? Do you divide the packet up or make a large amount of liquid to extend consumption and balance blood sugar throughout the day? Hey, great article! I have suffered from sever adrenal fatigue for years until I developed muscle wasting and my chest was caving in on my heart, causing painful spasms (and lots of other things I don’t have time to tell). Stressful living played a part, but I just went and saw a naturopathic doctor in Ct who is an expert at helping people other doctors can’t help. It turns out that I have a MTHFR mutation that slows my metabolism of folic acid, wreaking havoc in my body and brain. He is treating me for that with the already activated methyl form of folic acid, bypassing the faulty enzyme. I am also hypoglycemic. He also has me on supplemental plant based cortisol to help me have enough energy to make lifestyle changes, and a thyroid/ adrenal supplement. He wants me to continue to take Rhodiola Rosea, an herb I started using when I was at the end of my rope and afraid I would either die or kill myself. It was like a miracle to me, and helped with chest pain, emotions, and sleep tremendously. It got me through the four month wait to see my doctor because he is in such high demand. I am impressed your doctor knew what to test for, Charlotte, that is great! My Dr. Is Dr. Frank Aieta and you can Google his name for his website. He has tons of articles, videos, and patient intake info if you are suffering and want real help. He also does sports medicine and acts as a primary care doctor. He also has an adrenal fatigue questionnaire on which I scored 177- yikes. There is a Fox news video on YouTube about Rhodiola Rosea, and that is how I stumbled upon it in the nick of time. If you try it, start with only one a day on a full stomach at lunch with protein. Breakfast can make you shaken and dinner can keep you awake until you are used to it, especially if you are hypoglycemic. Do not use it after a juice fast! A friend did that and shook uncontrollably. Now that I have scared you 🙂 seriously this stuff saved my life, it wasn’t the cure, but it was a good start. Now I can take two or three a day and have one at night and it just makes me dream vividly and sleep well. I am going to try some of the things you mentioned Charlotte! I just bought lady bug but was waiting for treatment to kick in since I just started my pills three days ago. But now maybe I will do it today! Wow, thanks for more sources for information! I am so glad you’ve found some answers, and what you’ve shared will help lots of people! Thank you so much for this article. It really helps to find someone who has experienced the same things that I have. After first telling me that I had Lou Gerhig’s disease (fatal disease) then they decided I didn’t have anything. “It’s just menopause.” I’m MUCH better than I was but still not recovered almost 2 years later. I was thrilled to see you writing about this and look forward to the next article. I’ll definitely be trying your tips to see what works for me and to get an extra boost. I know what you mean–I was almost relieved to get a diagnosis–I wasn’t crazy! I hope some of these things help you! This is a great help to me, thank you so much for posting this information. I’ve heard about coconut oil helping with weight loss before. Can you please tell me what brand and where to buy? I know it’s important to get the right kind, isn’t it? Ha!! Be prepared to get flooded with even more comments and questions!! More than ever our crazy lifesyles are draining us Mom’s who sometimes think we are invincible and can take on the world! WRONG! Only by the grace and strength of God go we!! Whew!!! Anyway….in your statement below…. Use Young Living essential oils to sleep much better at night. I remember the first night I used the oils, I dreamed in vivid color. 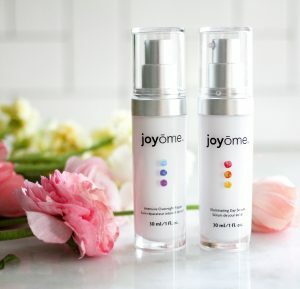 I use the roll-on Stress Away on my wrists, roll-on Tranquil behind my ears and on my temples, and 2-3 drops of Lavender and/or Peace and Calming in magnesium gel, rubbed on my feet. I still follow this routine almost every night and have no trouble sleeping. At first the magnesium gel made my feet rough but after several weeks it softened the skin like a fresh pedicure. In fact, I had a pedicure last week and the technician complimented me on the soft skin on my feet. This is after years of rough, peeling skin on my heels. I day dream of having night dreams and sleeping deep and thru the night! Does one order these items online from you or the T-Tapp site or just general sites online? Thanks for the info….Sure looking forward to your next post on this! Thanks so much for sharing what you’ve been thru. It will be SUCH a help to so many who are struggling! Thank you for all the information you share here. I recently asked you about adrenal health and really appreciate you sharing your journey to health in order to help others. I have been taking extra magnesium which instantly helped me get a good sleep at night. Now to try staying in bed longer…might be tough to persuade the family I’m not just being lazy ! Yes that is the hard part. Until I had an official diagnosis from a doctor, some friends and family were just annoyed with me, which hurt. A few were understanding though. Sad thing is, some DOCTORS don’t even “believe” in adrenal fatigue. I was fortunate that my care provider did, and with every symptom I listed she said “You have adrenal fatigue!” and sure enough, test results confirmed. I’m glad you have an “official” diagnosis. THANK YOU Charlotte for your informative article. I have suffered with adrenal fatigue also. Nice to let women know they are not alone or crazy. So grateful for sharing your experience and what has helped you. Looking forward to part 2. Blessings. Together, we can do this! Glad to share in the journey. Thank you so much for this article. I also suffer from adrenal fatigue and, thanks be to God, have slowly made progress in feeling better the past few years. I will definitely try the essential oils as I still often have a hard time sleeping at night. I do find that taking vitamin D in the evening helps. That is the only supplement that consistently helps tho; I also have found that the various vitamins and supplements I have tried will work for a while and then not help any more. 2 things that I have found helpful are using a good quality sea salt, starting with about 1/4 tsp in water in the morning. For years I barely salted my foods and have to remind myself that I actually need some (good quality) salt. The biggest thing for me is to learn to stress less, and trust God more! I can get way too serious about life and trying to do things right; for me dealing with the mental and emotional issues have been just as important as the physical changes. Yes! I forgot to mention sea salt being good for the adrenals. The mental/emotional issues will be discussed in the next article! It is a really good idea if you have been struggling with this to see a well informed doctor, especially a naturopathic one. I tried for ten years, after regular doctors failed me, to heal myself and believe me, I tried EVERYTHING. It is too heavy a burden to carry entirely by ourselves. There may be some underlying problem making it worse. It is great to be able to get blood work done and have it and your symptoms analyzed by someone who gets it, and most regular doctors don’t. So true–your care provider can make all the difference. I encourage anyone who is struggling to find the right one, often a more holistic one. I am wondering what is so important about sleeping between 7-9am for adrenal fatigue sufferers. The only time I would ever be able to even try to do that would be on Saturdays, and even that is hard. I start work at 6:30am!! I have to be at church on Sundays by 8:30am… which means getting ready beforehand…. Since starting to be treated for adrenal fatigue, rT3 hypothyroid, and excessively high cortisol levels (spiking at night) I have been able to at least be asleep longer in the mornings. I even slept in until 8am one Saturday. (Have only been treated for about 5 1/2 weeks now). I don’t see how I could sleep in, or even take naps. I believe it is to allow cortisol levels to rise naturally. There is no way I could sleep from 7:00-9:00am (and very rarely take naps), so the solution to rest in bed for 15-20 minutes upon awakening works well for me. Going to bed early enough is a real struggle. I know you still have several kids at home, so how do you do this? The worst of my adrenal crash was two years ago (at age 37) and it was worse then because I didn’t really feel awake until after dinner. So hard to go to bed at 9pm when I finally had some energy at 6pm. 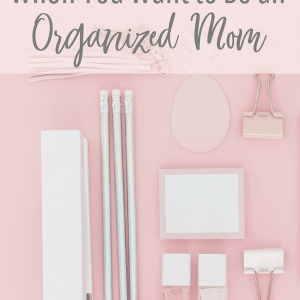 I often feel tired right in the middle of getting little ones to bed, and by the time that’s done the tiredness has passed and I don’t feel like going to bed anymore. Looking back I can see that adrenal issues have been on going for a long time in my life, I just didn’t know it, so I know it is going to take a while to really heal. Thanks for your encouragement and sharing! Hi Charlotte, thank you for the info. I’m sure we all going to be enlightened by your follow posts. Ihave a question- when you say you recovered from adrenal fatigue, is your cortisol results up to normal again? My cortisol levels haven’t been tested again–I go by how I feel! I just got back from my doctor visit. I took a copy of the adrenal questionaire and my results with me. As I tried to explain how I felt and asked her about the possibility of adrenal fatigue I started to cry. She in turn said that she was skeptical that there really is adrenal fatigue and said I should probably see a psychiatrist and be treated for depression. I was so upset I cried more! Depression doesn’t cause weakness and stumbling. So discouraged! I am so sorry, Melinda! Is there a possibility of finding a new care provider? I had one doctor tell me there was nothing I could do for some symptoms I was having for another physical condition, and another doctor tell me there was plenty we could do. There are many doctors who don’t *believe* adrenal fatigue exists. At any rate, the suggestions provided here are not harmful and they’re not prescription drugs, so perhaps you can still try them. Thank you, Charlotte! My sister was just diagnosed with fibromyalgia. I am wondering if what you are describing is basically the same thing? If so, I would love to tell her about some of the spiritual and natural ways she can be helped. God bless! I don’t know anything at all about fibro, but it’s possible that some of these suggestions would help! Hi Charlotte. Nice to meet you. I too have adrenal fatigue and was sent here by a friend. I was wondering how much Vitamin C you take. I am considering changing courses w/ my healing. I look forward to hearing from you! One more question – how much cinnamon in your tea? I assume it’s not a Tablespoon :)! When I’m feeling adrenal-ish, I take 3-4 packets of Emergen C daily. If I’m taking liposomal C I take 2 TBS 3-4 times per day. As for the cinnamon, I just sprinkle some for taste! Wow Thanks for this, The only test I didnt complete on my panel was cortisol levels because I had to collect my urine for 24 hours then take it to a lab 1 hour away during office hours, with my busy life I couldnt find a day to drop it off. 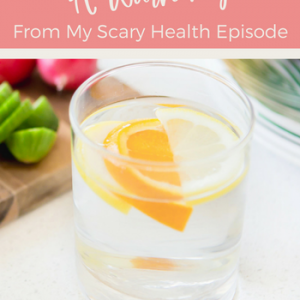 I drink the Good Girl Moonshine from Trim Healthy Mama Blog it has apple cider Vinegar in it, I love Coconut oil it is very soothing I need to remember to add it everyday to what I am eating. Such great adrenal info. I’ve had the saliva cortisol test and the results are high morning, low noon, high dinner time and low at 10:30pm. So I have mixed results which I’m treating with adaptagens–holy basil–to even my adrenals out. So far, it’s working and I’m feeling great. Which t-tapp would be the best for me to start? Menopause management, senior fit, or something else? So far my only exercise in the last year has been nothing. I’m 30lbs over my ideal weight. Thanks for you help! Great info, thanks for sharing your story. But my god, who would want 12 kids? That is plain insane. Rhodiola never made me shaky. I have found it very helpful, though. It’s an “adaptogen,” which essentially means it boosts your body overall without making any drastic impact on any single organ or system. I don’t know what kind of exercise T-Tapp is, but my naturopath said DO NOT do any intense workouts with adrenal fatigue – it’s overly wearing on the body. Something gentle like hatha yoga or similar “stretching” type exercise is the most one should do until the adrenals are considerably recovered. Rebounding (mini trampoline jumping) is good. Exercises and tones every cell in the body- is an exercise even recommended by those who have injuries or heart problems because of the low impact (especially when you use the German one- the rebounder they make has no springs but is bungi cords- so softer bounce) and has helped health problems because it moves the lymphatic system. A sluggish lymph cannot clear cancer or any other illness from the body. It is apparently the best way to move the lymph so it can do its work of cleaning toxins out of the body 🙂 Looking into eating organic fruits and vegetables now because of the salvetrols in them as one lady mentioned here- FABULOUS advice. T-Tapp definitely has gentle options, and in fact it has been a huge key to my recovery because of its effect of draining the thoracic ducts along the spine. I agree that intense workouts are bad for adrenals. You really have to stay aware of how you’re feeling and adapt. Thanks for stopping by! Oh, disregard my question about the essential oils that I just wrote on your part 2 blog post — I re-read this and saw your link above. 🙂 God bless you! I too took the saliva test and results came back a mess! Not only is my cortisol beyond sub low nearly all day, I also had very little estrogen and progesterone left in me. Along with some insulin resistance. I have been so ill and Dr’s told me it was “just my body” and normal to feel tired and dizzy when I stand. I have crying bouts, depression, anxiety…. you name it for awhile now. Thankfully I found a Dr. in CT who is helping me. w weeks in and I am slightly feeling a change. He just did blood tests and I am anemic. Good days followed by bad. It is hard to get out of bed in the morning and some days I just cry over how I got my body into this mess. I know it will take months to heal since it took years to get this way. CHRONIC stress did me in. We all need to support each other! I’m so sorry to hear about your adrenal fatigue & long recovery. I had virtually the exact same symptoms as you – could hardly move sometimes it was so bad. Migraines, a dwindling social life, no energy to even run errands, couldn’t work out much anymore, & eventually had to go part-time with my job. The more I researched on gluten & how they’ve altered our wheat supply in America, the more I understood why it created such inflammation in my body. It was like a nearly overnight cure. I’d tried all kinds of adrenal supplements & convinced myself I had Candida (and did a candida cleanse & took candida supplements), did a bunch of cleanses (kidney, gallbladder, liver / GI / intestinal, etc), overhauled my diet to mostly organic & for several years Paleo/ low carb. I even tried the Vitamin C, strict sleeping schedules, NO caffeine & tons of water, yoga, giving myself lots of rest, took thyroid & adrenal support pills, did a parasite cleanse, etc…. but nothing worked like going gluten-free. I don’t know if you’ve gone this route, but I highly recommend at least trying it! I’ve read that the best way to discover you may be gluten-sensitive is to simply eliminate it from your diet for a few weeks & see if you feel better. I still “cheat” occasionally & live a normal life, but I cannot begin to tell you the changes in my appearance, weight (loss, woohoo! ), SKIN, mental clarity, energy levels, positive outlook / moods, etc once I made the change. I call it the “feel good diet” because it makes you feel incredible & youthful again 🙂 Praise God. If you’d like to read my story & a “Cheat Sheet” on going gluten-free, I’ve written about it here – “Why & How to Go Gluten-Free”: https://www.youaretheoneiwant.com/2013/06/03/why-how-to-go-gluten-free-2/. Hi, thank you so much for info, can you explain how to do the ladybug move or a web address that shows it. I can’t afford to buy the DVD and really would like to try it. Hello! I’m not sure if I missed it or what but I was wondering if you are still taking any supplements for adrenal fatigue? If you are, what are they? If or if not did you reach optimal levels of hormones? Sorry, if I’m scatter brained here! I was dx with Lupus 3 months ago and shortly after Hashimotos and now I’m learning about adrenal fatigue, which I obviously have and I’m only 23 years old! 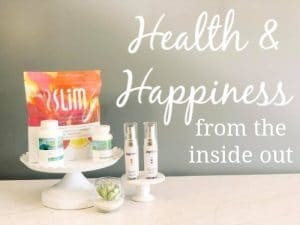 Paige, I need to update the article–a couple of months ago I started using Plexus Slim and it has REALLY helped with my energy and blood sugar. With adrenal fatigue I got weak and shaky often because my blood sugar was unstable, so it made me want to eat all the time. There’s a tab at the top of the blog “Weight Loss” if you’d like to know more. There are also many testimonials of people feeling better with Lupus and Hashimotos when they take Plexus Slim. Best wishes to you! Thanks for this. Can you clarify how much cinnamon you are putting in your water? Thanks! I just shake, shake, shake! I tend to like lots of cinnamon–but I usually drink the cold limeade version now! Thank you SO much for this article. I’ve been battling with severe adrenal fatigue and hypothyroidism for almost three years now without a day break! I was ready to throw in the towel with my life so many times but I’m clinging to hope as much as I can and found this article very inspiring. I know I can get better, I just have to treat myself right and change jobs (I work nights – I think that’s why I can never fall asleep before 1am). Kelly, I’m so glad to encourage you! At one point it felt like I could never get better, but I’m happy to report that I feel just fine now! I do have to be careful, but I take measures at the first sign of adrenal fatigue feelings. You can do it! Last 3 years,i am suffering from poor sleeping patterns which started after my GM crash diet in which i lost 10kilos in 10 days.Thats the biggest wrong thing i did in my life.I am pretty sure,if i get a deep sleep like bfore,thats the solution for all of my problems.But,how ? i read many articles,nothing worked.This artcile seema to be more informative.I have the following query,pls suggest me. Actualy,i am getting severe insomnia if i lose weight thru some intense exercise or dieting*not eating properly).So,i avoided dieting totally.But,if i do run in the traedmill for continuos 10mts at 9 or 10km speed,the third day i am having some weight loss and gaining muscles (really),meantime i am getting sleeping problem also along with that. If i continue this 10mts workout,do my insomnia will go off ?since i am gaining muscles –>high testosterone–>weight loss,many factors or i should avoid this (Note:i am doing only for 10 mts only,no other workout). High blood sugar causes high testosterone levels in women (it lowers testosterone in men). Consider a low-glycemic diet. Actually, for me, Plexus Slim has worked like nothing else in managing blood sugar and balancing hormones, thyroid and adrenals. Lyn, please seek medical care! It sounds like you could possibly be in stage 4 adrenal fatigue and you need help. Please don’t wait–YOU are worth it. Which ttapp dvd would you recommend for adrenal fatigue? Nevermind. I saw it. Is the 10 minute dvd the only one that has the ladybug move on it? The Ladybug move is also on the Ladybug workout in the Floor portion. Healthy Hormones Menopause Management, Brain Body Fitness Floor, Brain Body Fitness Core Floor, Senior Fit and MORE are also good workouts for adrenal fatigue! I wish I had seen your article two years ago! I had several steroid shots and it sent my adrenals into a crazy overactive stage where I basically didn’t sleep for a year. Honestly, I’ve been through a lot, but it was one of the biggest challenges of my life. Anyway, my adrenals are healing. I do the coconut oil, the sleep, even the Young Living Oils! haha!! I just got my hands on some Plexus Slim but they also gave me some Boost. Anything with any caffeine usually throws me way off, but I am gradually getting better and haven’t tried it in a while. Did you ever use the Boost? I’m glad that you’ve found things to help you! As far as the Boost, I took it for about 6 weeks and then felt that it was beginning to stress my adrenals. It’s a thermogenic and those do affect the adrenals. Listen to your body! You can take advantage of the 60-day money-back guarantee to return Boost if you can’t use it. I prefer to substitute XFactor multivitamin. Love, love, love your posts on adrenal fatigue! Thank you. I’ve been diagnosed with severe adrenal fatigue & although my naturopathic Dr has me on a supplement regime I was also looking into Plexus & then when I was reading your post I saw you use it. Can you please share with me how you feel the Plexus helped you with AF? I actually tried it last year & noticed that I was able to get out of bed easier in the mornings but then I wasn’t seeing weight loss, which at that time is what I was after, so I discontinued use. I’m considering restarting & would like your input please? Thank you so much! I’m sorry one more question-was there any particular diet you followed to heal your adrenal fatigue? Thx! I was wondering if during blood work with your doctor if they had ever said you were really low on your vitamin D? I’ve been struggling with fatigue this year and some depression, my doctor said my blood work showed a big vitamin D difficiency but after 2 months of taking a massive amount of vit D I haven’t seen any improvements. So I’m trying the Go Girl Limeade and hoping to figure things out. Thanks for sharing your story. I just started dealing with this a weak ago. The doctor just told me I had low blood pressure, I researched a bit and concluded I had adrenal fatigue. This morning a took a tea with green tea, a bit of grouded turmeric, a bit of grounded ginger, black pepper and apple vinegar. It was a boost! It took my chest pains away and felt energetic like 10 minutes later. Question – do you know why there is a Prop 65 warning for Plexus XFactor? This (below) is what appeared upon checkout. p.s. It could be that posting is a CA legal requirement for any supplement. The old wive’s tales of “get to sleep by 10” and “best time to sleep is 8:00 am to 9:00 am” for people with adrenal fatigue cannot both be true, and this fallacy has been repeated on far too many websites. If someone attempts this they would have to sleep for 10 to 11 hours each night, a feat not acheaveable for more than one or two nights. Really people, stop copying and pasting “advice” like this. Some people need to get to sleep by 10 more than they need to sleep in until 9:00, and other people feel best staying up until midnight so they CAN sleep in until 9:00. We simply need to try both methods and choose the one that works best for us. But attempting to do both is not logical. Apparently you missed the fact that I said I couldn’t do both. Lying in bed for an extra 15-20 minutes after I woke up helped cortisol levels rise. No copying and pasting here, just sharing my experience. Have you made a full revovery? If so, how long did that take? I have similar issues with adrenal fatigue. I am working on healing but as you said it is a process. I am enjoying starting T Tapp. I am also considering using Plexus but I have concerns about it being addictive after reading some negative reviews. What is your thought on that? Hi! I’ve been taking Plexus supplements for 4 1/2 years and during that time have had to not take them at different times for surgeries, etc. and didn’t notice any addictive or withdrawal symptoms. It’s done more for my health than anything I’ve ever tried–and I FEEL better than ever. Lab work top to bottom is totally normal, including thyroid (no longer taking prescriptions). You can use the contact form in the top menu if you’d like more details!